We provide a wide range of services, including the drafting of Wills, Powers of Attorney, Notarization, Affidavits, Mortgage Documentation, Real Estate Purchase and Sale documentation. Whether you have questions on the ins and outs of buying and selling property, or are wondering if you need a Will, we’ll help you to make an informed decision. Disclaimer: The material you find in this site is for general information only and must not be taken as legal advice. 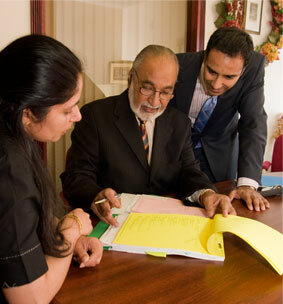 Many situations are unique and may require consultation with our office. By entering into our site, you fully release Sablok & Sablok, Notaries Public, and our office of any and all liability that may arise from your use of the information contained therein. Again, this is not legal advice or notarial advice. You are further notified that any dissemination, distribution or copy of this site is strictly prohibited.